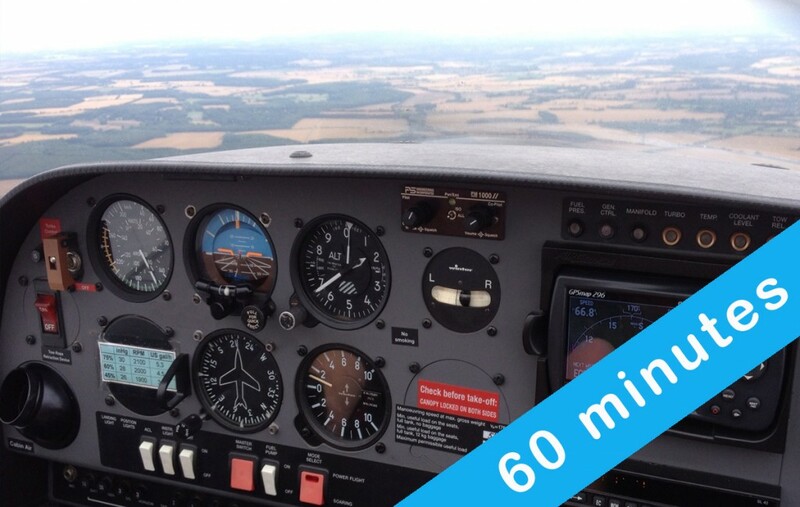 Maximise your experience with an hour in the air! This longer flight gives you more time to get to know the aircraft and lots more time for hands-on flying and sight-seeing. When you arrive at the airfield, you’ll be introduced to your CAA-qualified instructor, who will give you a full pre-flight briefing on how the aircraft flies and how the controls work. Once in the air, your instructor will demonstrate how to control the aircraft and then you will have the opportunity to have a go yourself. Don’t worry – you can do as much or as little hands-on flying as you wish! You’ll also have plenty of time to admire the views and have your photograph taken at the controls of the aeroplane.